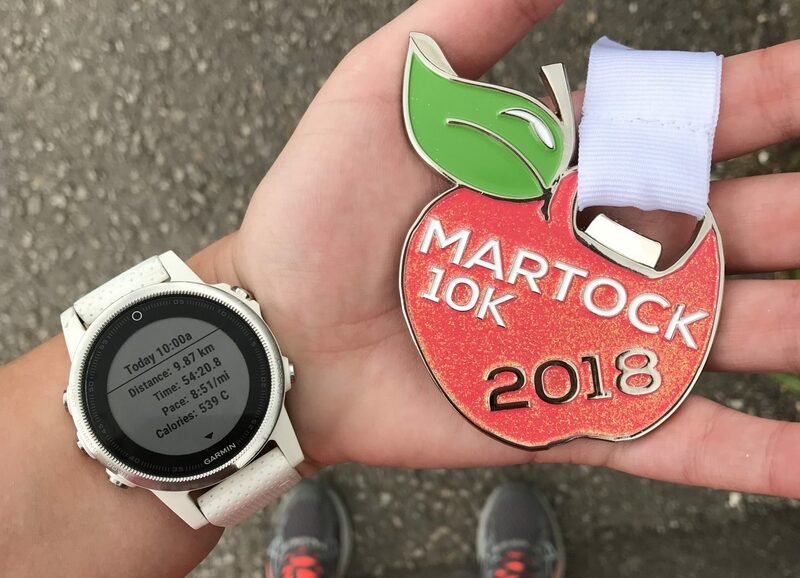 Hand on heart, the main reason I signed up for the Martock 10k was that quite a few people that I’m following on Instagram had done it and I thought the medal was super cute, oh and it was described as ‘flat and fast’. House (a National Trust property) and the Parish Church. opportunities are now more varied. They were right about it being a nice flat course, I managed to get my fastest 10k time ever! Really lovely route with friendly marshalls. There’s not much for spectators to do while waiting for the runners, it was a very small race (which I like). Would I run it again? Yes, absolutely, I loved this race and the fact that I achieved a PB made that apple medal taste even sweeter.